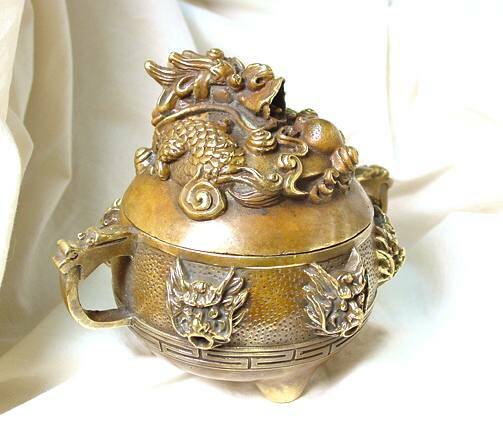 Description: This Incense Burner, from China measures 7" tall with lid and 6" wide from handle to handle. 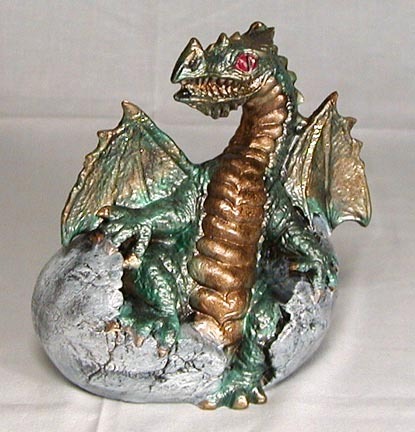 Burner is a signed piece with chop mark. 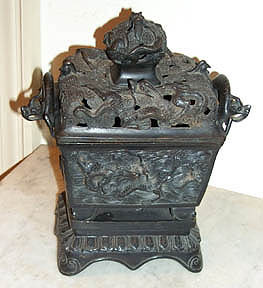 It has detailed Dragon, Peacock, and Elephant designs. 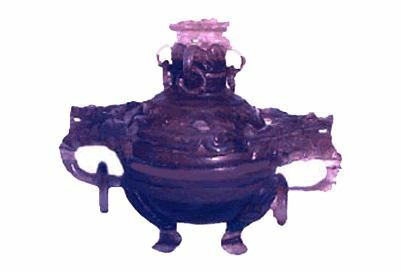 Description: This ceremonial burner is a reproduction of Southeast Asian vessels that were traditionally used in Buddhist rituals to ward off evil spirits. 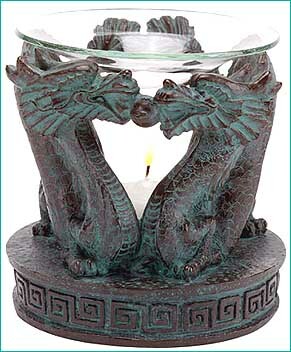 Constructed from solid brass, this three-footed burner features dragons all around, including its handles. 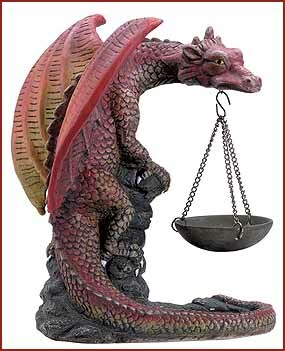 7" length X 5.5" width X 6" height. 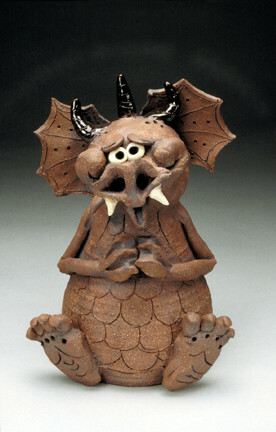 Description: In dusty pinks and oranges, this dragon holds forth an oil warming vessel. 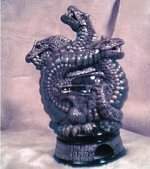 6 1/2" x 3" x 7" high. 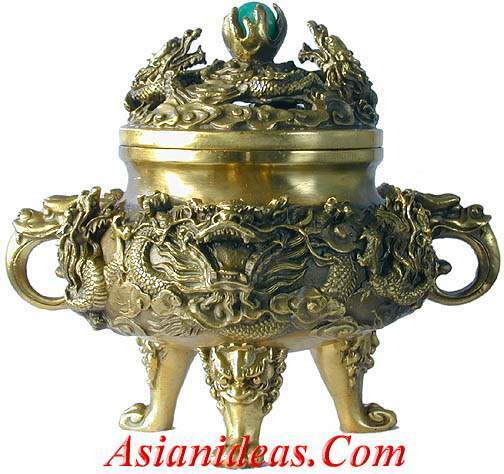 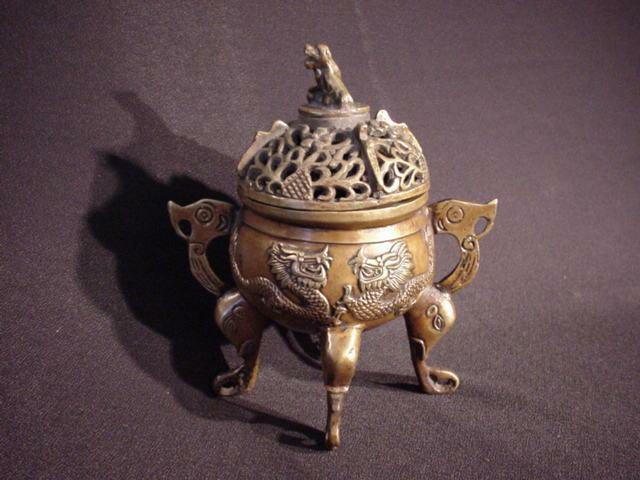 Description: Verdigris finish dragon oil warmer. 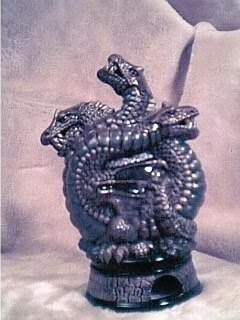 4 1/2" diameter x 4 1/2" high. 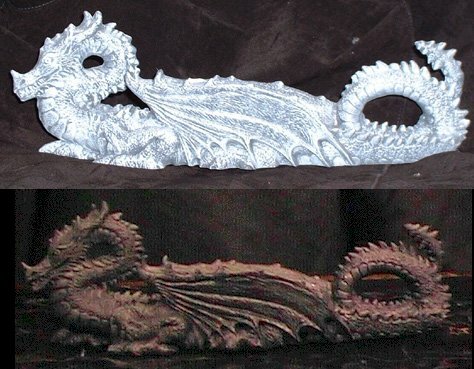 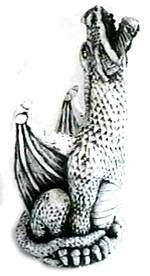 Description: Carved in Norse interlace style, this dragon will hold incense sticks between its teeth. 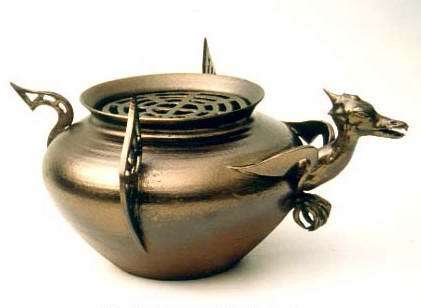 The runic inscription around the base is a line taken from the "Prayer to the Sylphs." 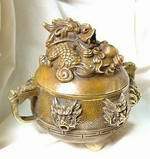 It reads: "Thou wou ascendest upon the clouds and dost fly upon the wings of the wind.Size: 16" x 3" x 3/4"
Description: The Howling Dragon Burner comes with a dish to slip under the dragon for burning cone incense, as the incense rises through the dragon it is released through his mouth, the dragon stands about 10.5 inches tall. 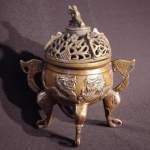 Description: This burner measures about 4.5" tall by 5" wide. 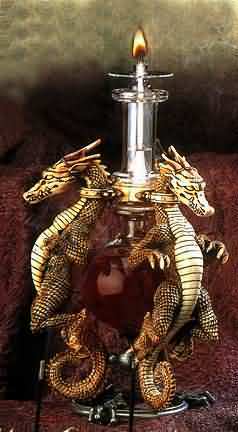 Fire Breathing Dragon atop lid..